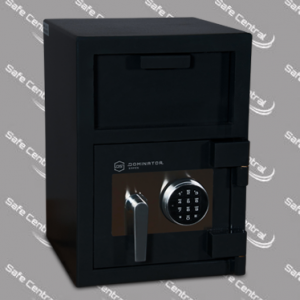 Controlled access via a separate lockable internal compartment, allows the DD-3 to offer higher levels of security. 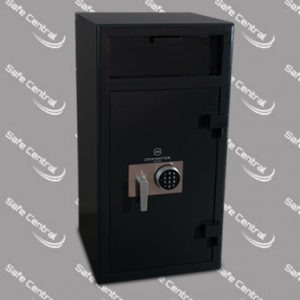 The increased size allows more deposit space internally, as well as more security features inside the door for added protection. 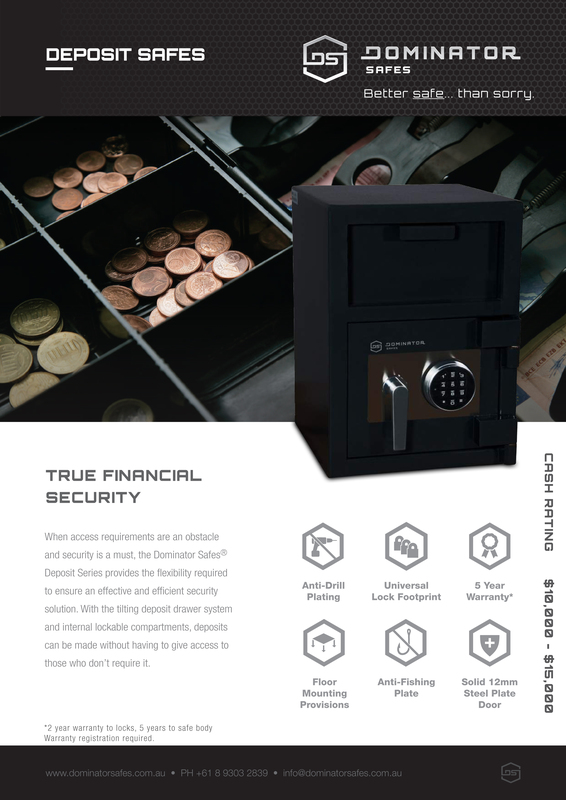 With the addition of the internal key lockable secure deposit compartment, the DD-3 caters for more sophisticated cash management requirements by offering 3 levels of access to the safe. Dual keying ensures that a master key holder needs to be present in order to open the internal compartment that holds all deposited valuables. 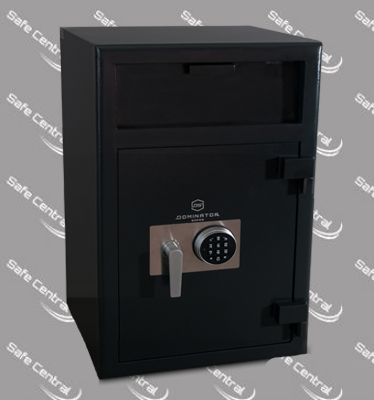 Along with the increase in overall size and storage capacity, the DD-3 offers more value and flexibility than any other safe in the series.